The Finishing Touch: New Designs for Summer! 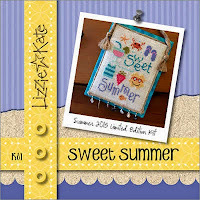 Summer is right around the corner and we are excited to offer Lizzie Kate’s Limited Edition “SWEET SUMMER” kit. This sweet little kit will be available one time only and will not be reprinted. If you are one of the many Lizzie followers, don’t delay. 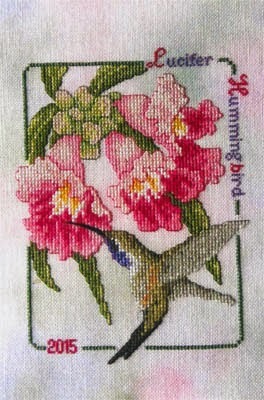 June will also bring 5 more new small designs from Lizzie Kate. 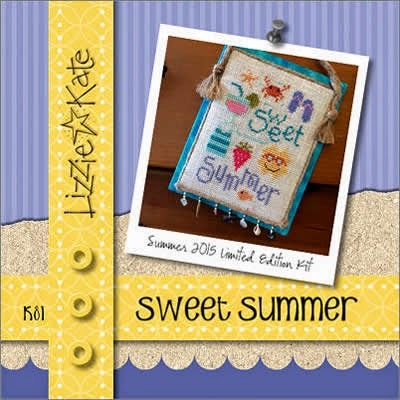 June will also bring 5 more new small designs from Lizzie Kate. Cross Eyed Cricket has added September and October to their ongoing collection of designs for each month. These colorful designs incorporate buttons and some silk floss. 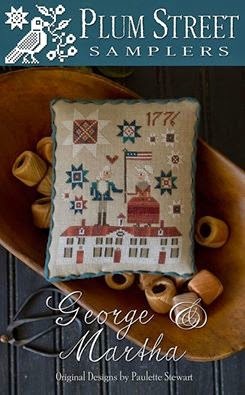 Plum Street Designs has three new offerings: George & Martha shows George and Martha Washington along with their lovely Mount Vernon home. Very patriotic! 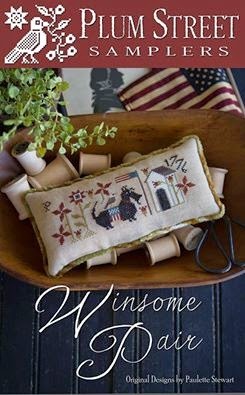 Winsome Pair shows a darling Scottie dog wearing a flag sweater and his 1776 dog house. So cute. Paulette also has two new designs for tart tins – one elephant and one donkey. 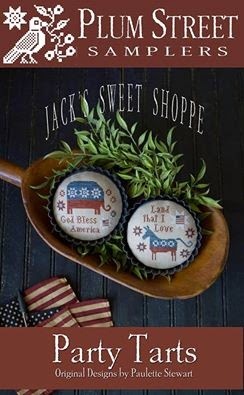 Do you see a patriotic theme here! The 2015 Lucifer Hummingbird has just arrived from Crossed Wing Collection and he is beautiful in shades of red stitched on Fairy Ring hand-dyed linen. Beautiful! FABRIC SPECIAL - Now through Saturday, June 13, any precut fabric in any of our fabric bins can be yours for 20% off the marked price. 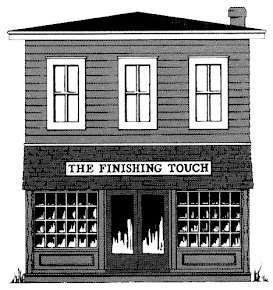 We need to lighten the load in our fabric bins so check your project fabric needs. Wishing you a happy and safe Memorial Day.